It’s not the subject. Images of drinkers aren’t necessarily gloomy (Frans Hals) and even grimy images, such as from New York’s Ashcan School, still have a certain nobility. What’s depressing about this image for me is the sense that Kerouac is struggling to his own inner sense of being lost, creatively. That means the soul. 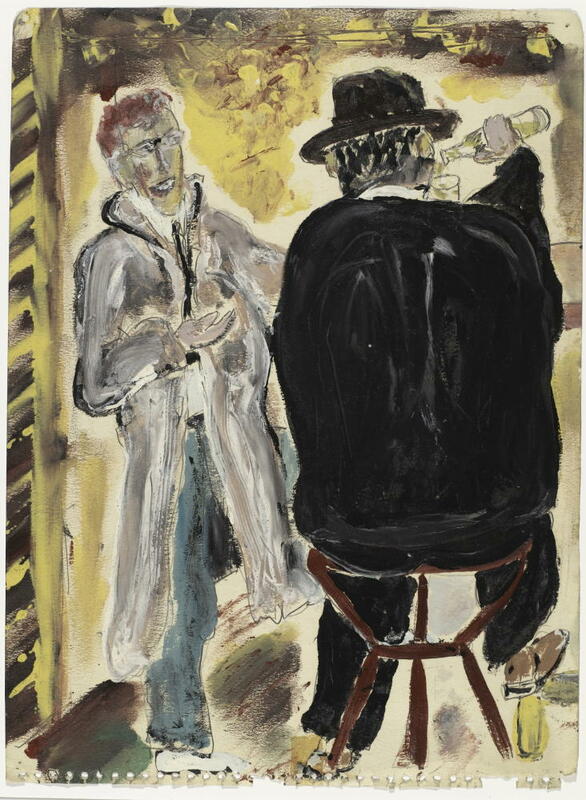 I wrote yesterday about my sense that Kerouac’s paintings show an unhappy searcher — not the gloriously curious, determined searcher of “On the Road” or even “Big Sur.” I see him as truly “beat” … not hip beat, but beaten down. This entry was posted on March 5, 2008 at 4:36 am and is filed under Uncategorized. You can follow any responses to this entry through the RSS 2.0 feed. You can leave a response, or trackback from your own site.